5th August 2018, Manama, Kingdom of Bahrain, Kuala Lumpur, Malaysia | The General Council for Islamic Banks and Financial Institutions (CIBAFI), the global umbrella of Islamic financial institutions and the World Bank are pleased to announce their second joint international conference on “Corporate Governance of Islamic Financial Institutions: Overcoming Challenges and Implementing Best Practices”, on the sideline of the Global Islamic Finance Forum 2018 (GIFF) in Kuala Lumpur, Malaysia on 2nd October, 2018. 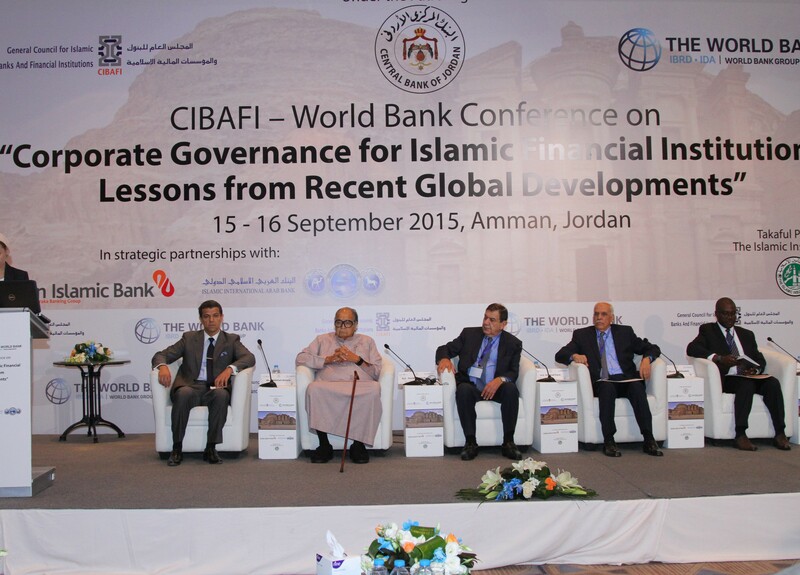 This 2nd edition of the International Conference on Corporate Governance of Islamic financial institutions is in succession to a highly successful first joint conference organised by CIBAFI and the World Bank in 2015 in Amman, Jordan. The objective of the conference is to reinforce both CIBAFI and the World Bank commitment to help foster the development of Islamic finance globally through the enhancement of corporate governance practices in Islamic financial institutions. The conference brings together various Corporate Governance stakeholders from the Islamic finance industry, multilateral institutions, international and national regulatory bodies, policy-makers, and academia to discuss emerging issues and discuss best practices to ensure industry’s continued success. The delegates of the conference would have an exceptional opportunity to gain key insights into the most significant areas of corporate governance including discussions on key challenges and opportunities. The conference, which is being organized under a collaborative MoU between CIBAFI and the World Bank, also falls under CIBAFI’s Strategic Objective, in increasing the awareness of Islamic Finance and promoting information sharing among its members and the industry stakeholders. The MOU between CIBAFI and The World Bank resulted in the launch of their first joint publication titled “Corporate Governance Practices in Islamic Banks 2017”. The publication breaks new ground in the field of corporate governance for Islamic banks, identifying the strengths and weaknesses of CG practices in IFIs and proposing policy recommendations to improve these practices. The Report reveals that overall, Islamic banks perform well in terms of their Transparency and Disclosure and Internal Control and Audit. However, at the other extreme, they face challenges in areas of Risk Governance, Shariah Governance, and the operation of Board of Directors. The upcoming conference will discuss issues such as board effectiveness, risk management, transparency and reporting requirements, as well as the role, accountability and independency of Shariah Supervisory Boards (SSB) in the light of strengthening regulatory regimes.